Posted September 13, 2015 by The Rapid & filed under In The Community. Spanning three square miles for nineteen days with 1,500 pieces of artwork at more than 160 venues, ArtPrize Seven kicks off on September 23 and runs until October 11. Don’t miss a chance to rediscover Grand Rapids and catch a glimpse of art from all over the world. With so much to see and do in such a short amount of time, it’s important that you get the most out of your ArtPrize experience. We’re saying goodbye to wristbands and hello to the sleek and handy Metro Pass. Riding the bus is an easy and fun way to get the most out of ArtPrize. For just $5 each you will receive unlimited rides on the Silver Line and 10 rides on Rapid fixed-route buses. Passes go on sale at seven area Meijer locations on September 13. Consider the ArtPrize Metro Pass your very own key to the community. This year there are nearly 10 miles of ArtPrize Pathways to explore, and each has received it’s own unique splash of color thanks to the color experts at X-Rite Pantone. The four curated Pathways — center City, Hillside, Monroe North, and Access Art — highlight the character of each ArtPrize neighborhood. You can expect whimsical sidewalk and street applications throughout each Pathway, including a Pantone Hopscotch and Crosswalk, are designed to serve as a starting point for you to discover—or rediscover—our city and create your own adventure.. The ArtPrize team suggests straying from the Pathways often to explore beyond what is familiar. But as a reminder, you shouldn’t need to stray too far, as 90% of all ArtPrize Venues are within one block of a pathway. Staying connected is a must for ArtPrize Seven. Whether it’s with the official ArtPrize app or one of our many transit apps, make the most of technology. By using the ArtPrize official app you can vote, find venues near you, search for artists and entries, and much more. 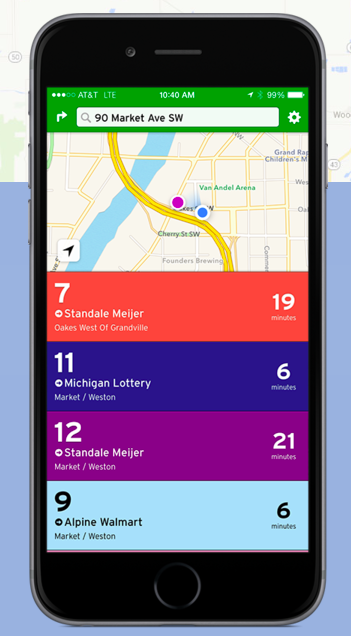 Fill in the gaps by checking out one of our third-party apps to plan your trip to and from city center, tracking your bus in real-time, and discovering more of our transit offerings. 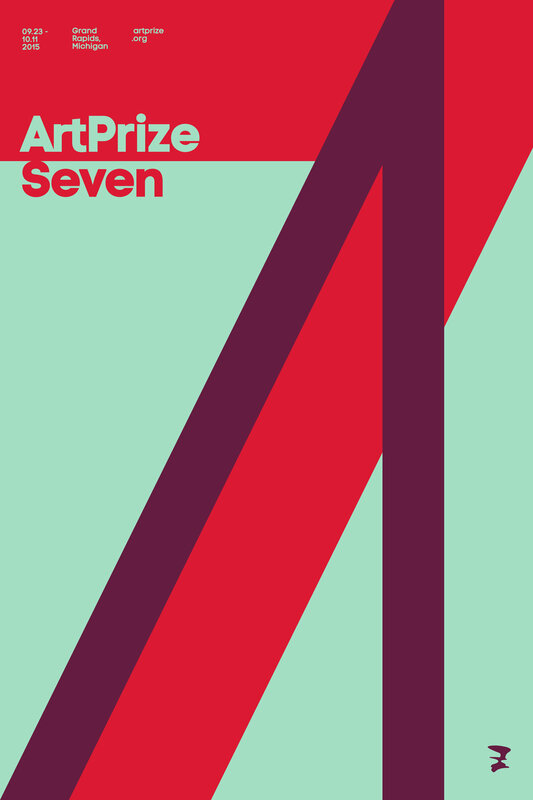 Use ArtPrize as a chance to try a different mode of transit. Have you considered getting around ArtPrize by bike? Spokefly, Grand Rapid’s new bike-share program has you covered. Start by downloading the SpokeFly app and, for just 15 cents a minute (or a $45 a day maximum), you can borrow a bike on demand. Biking is a great way to get where you need to go with minimal fuss and a lot of time to take in the scenery. Parking during ArtPrize is a uniquely frustrating experience. Avoid it all together to get the most out of this fantastic event. If you’re traveling from the outskirts of Grand Rapids, consider parking at one of seven area Meijer locations and getting on board The Rapid fixed-route bus. You can also park at either of the Silver Line Park ‘n’ Ride lot located at 60th Street and Division and Burton and Division. No matter your ability, ArtPrize is focused on connecting everyone to art. For those with differences in mobility, the AccessArt Lounge is a great hub for your ArtPrize endeavors. In fact, the ArtPrize team has even dubbed it the perfect place to start and end your journey if you use a manual or motorized wheelchair. This lounge has several amenities including refreshment, a quiet space for relaxation, wheelchair rentals, and more much. Leave from the AccessArt Lounge to experience the AccessArt Pathway, which is 1.2 mile loop through City Center. With so much to see and do in such a just over two weeks, checking out the artists and venues beforehand is a great way to ensure you don’t miss anything. Explore the ArtPrize website to map out all of the locations you don’t want to miss and even discover news places in Grand Rapids! You may even want to plan your walking, biking or transit trip in advance. Our RapidConnect Trip Planner is a handy assistant for getting the job done. Are you planning on riding The Rapid to ArtPrize Seven?